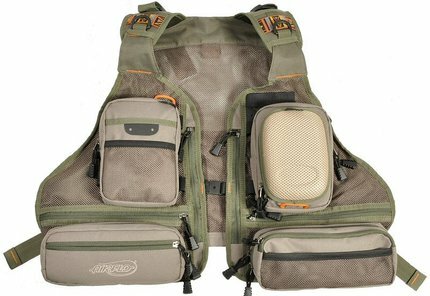 This weeks Deal of the Week, the Airflo Outlander Vest Backpack has SOLD OUT!!!!!!!!! So for the rest of the week, until 26/01/12, we will be offering the Airflo Outlander Mesh Vest - RRP £49.99 - for just £27!! The ultimate Lightweight Fly Vest – This vest has it all and does the lot! A pocket for every situation! With large and medium vertical and horizontal pockets, It has vertical zip down fly trays, mesh pockets, double front D rings and back D ring plus straps and leashes to attach your gadgets. Adjustable so one size fits all.